Today we added notifications for livescore. Notifications are available for mobile, tablet and desktop. When you check other website or app or you are not using your phone or computer, we will send notification with live results directly to your device. 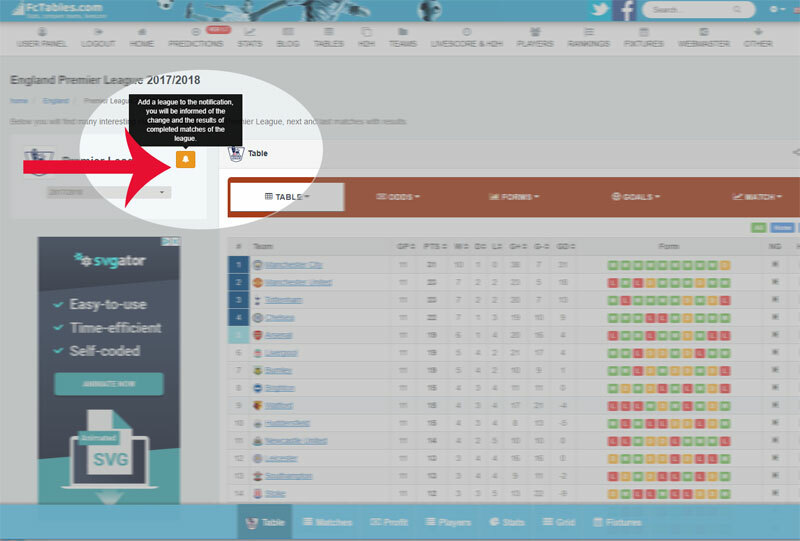 You can also add to notification selected matches, league or favorites team. 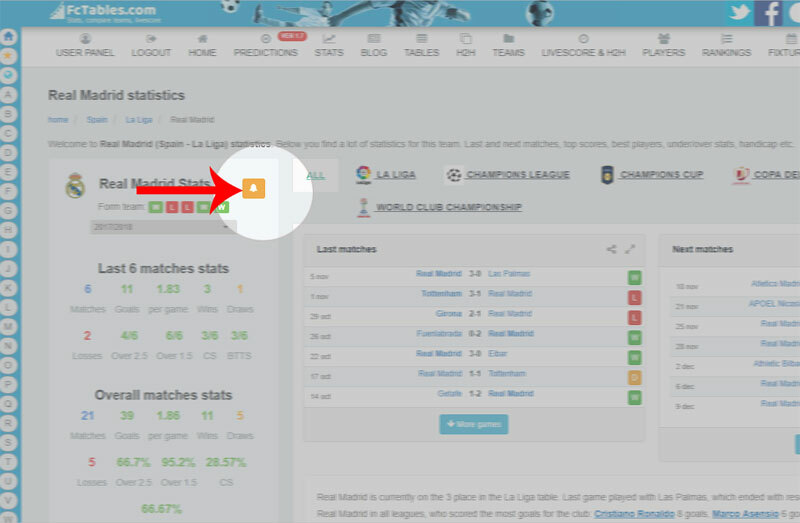 When you select league you will recieve all scores during the matches for all league matches. For selected team we will send you only livescore for team matches. In any time you can disable push notifications. Push notifications are enabled for modern browsers: Google Chrome, Firefox, Opera on desktop and mobile. How to add team for notification? How to add league for notification? love this site.. but can't save the notification setting, everytime i access it from another computer, all notification need to be setup from beginning again.. :( ,any solution? It's good u can send it.